Where can I ride a dirt bike? 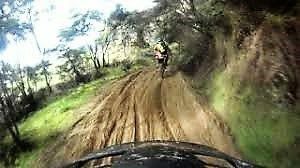 It’s always a challenge finding legal places to ride a dirt bike off road. 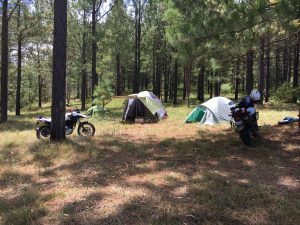 Most organized events require you to have a road registered bike, as is the case with riding on forestry roads, or a competition license if you have an unregistered bike. In Queensland, Australia, the state pine forests are open to the public, but it is illegal to actually go into the forest on the trails (not that it ever stops anyone). Here is a list of places I have discovered in Australia and New Zealand. I will keep updating this list as I come across new places. Organised by Motorcycling Queensland Inc. Located on Goan road, Coulson. (off Beaudesert-Boonah road). Caters for Motocross, Trail/Enduro, Freestyle, Junior MX, Quads. It also has camping facilities if you want to make a weekend of it. One day ride costs about $50 per rider. I have ridden there many times and can thoroughly recommend it. Tip: Preorder tickets online. It saves time when registering on arrival. The prepaid ticket line is much shorter. 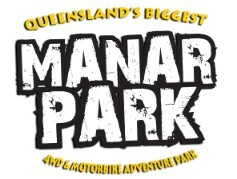 Manar Park is one of the biggest motorcycle parks in Queensland. It is a 15,000 acre working cattle property. It is located approximately: 1 1/2 hours north-west of Kingaroy, 1 1/2 hours from Dalby, 1 hour from Gayndah and Mundubberra. Check the website for directions as it warns the GPS may not work or may send you the wrong way. The park caters for motorbikes, quads, buggies, and 4WDs. One day ride costs about $40 per rider. 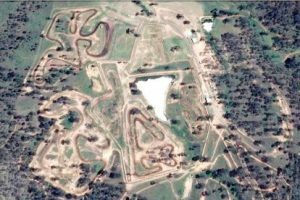 They have enduro loops, hill climbs, motocross and supercross tracks, children’s tracks and quad & buggy tracks. Camping is provided with over 100 acres of campgrounds, both powered and unpowered sites, and cabins. This is a state pine logging forest, and is located near the Glasshouse Mountains, off Steve Irwin Way (Yes, the ‘Crocodile Hunter’). It is near Australia Zoo on the Sunshine Coast, about an hour north of Brisbane. 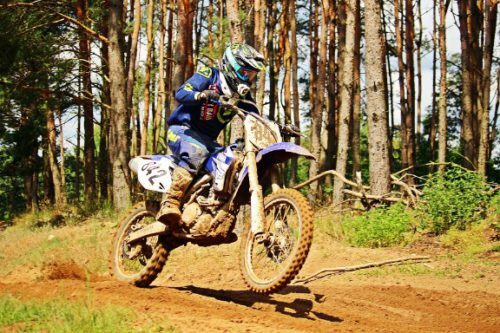 Your bike will need to be road registered, as the forestry roads are public roads, but you see lots of motocross bikes there. 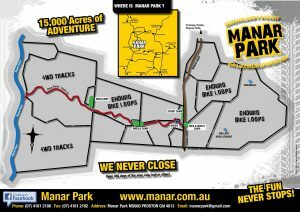 This is a great place to ride, but be aware you will come across Four Wheel Drives on the trails. The terrain is mostly sandy trails, with some muddy areas if it has been wet recently. 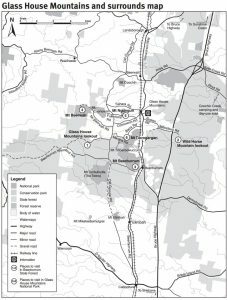 A very scenic forestry area located about 3km from Urbenville, New South Wales. There is free camping with toilets, but no showers or water. Most of the dirt bike riders camp another kilometer down Tooloom Falls road in an area that has no facilities, but there is swimming in the creek downstream from the falls. Very refreshing after a hard day’s riding. Trails in the Yabbra State forest are hard packed and sandy. There is nothing too technical. We got some big adventure bikes through the trails. Very scenic riding. This is a huge pine logging forest about 45 minutes north of Auckland. It is used by Motorcycles, Mountain bikes, Horse riders, bushwalkers, 4WDs. The motorcycles have their own designated tracks, thankfully. The terrain is mostly sandy trails, both tight single trails, and wide open fast trails used by the forestry rangers. I spent my teens riding these trails. They run Enduros and GNCC Cross Country events here. There is nothing better. You can also access the beach, which is long and wide. There are a lot of 4WDs using the beach, so be wary. Greg Power runs family-friendly trail rides and organized GNCC cross-country competition events throughout the year mainly in Woodhill Forest. He also organizes Adventure Tours. Suitable for beginners and experienced alike. Waitemata Motorcycle Club run trail rides and competition events mainly in Woodhill Forest and Riverhead Forest. Riverhead is mainly a clay base so can be more difficult to ride, especially in the wet. Trail rides are more suited to experienced riders. They run family days, Vintage enduro and trials events. Auckland based. 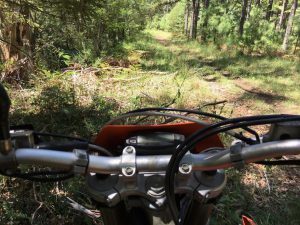 Can you recommend any great places to ride a dirt bike in your area? Feel free to tell us about it in the comments below.